We’ve posted here on the Defra digital blog some of the stories about our data, data activities and data releases. 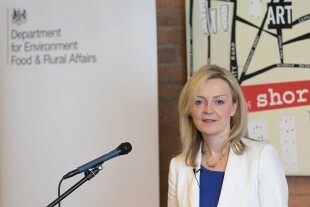 Today our Secretary of State Elizabeth Truss set out her vision for the role of open data in the future of food, farming and the natural environment with a speech in the heart of Tech City. At the centre of this is a promise to continue and expand our efforts to releasing the vast, diverse and broad range of data from across Defra as open data to support innovative uses, new businesses and a better understanding of our environment. We have set up an accelerator project within Defra, with key people from across our organisations to build on some of the great work already started in parts of Defra. We will be working with external experts and our data users as we work out the best way to meet the challenge that our Secretary of State has set. We’ll be looking to tell the stories of some of the interesting data and are keen to hear about how our data is being used. For example we've already heard about interest in the Environment Agency's Lidar data from a diverse range such as games companies, researchers and building developers. You can find a list of currently published Defra Data on data.gov.uk at http://bit.ly/1GMXNgh, as well as lots of environmental geospatial data from central and local government at http://bit.ly/1TQZJvc.